The rate of home-ownership across Europe and in many countries has increased significantly in recent decades. This is partly because most governments have promoted home-ownership as part of an asset-based welfare system with the notion that home-ownership will generate wealth for households through the accumulation of housing equity. Changes in house prices play an important role in the generation of the housing equity and the wealth inherent in home-ownership. In general, house prices change in cycles of upward and downward trends. Each of these cycles may be driven by different sets of fundamental determinants and by the prevailing conditions in the wider economy. Over the long term, home-owners usually accumulate significant housing equity, yielding welfare benefits. However, even periods of brief house price decline can erode the value of housing equity accrued over several years. Following the 2007-08 Global Financial Crisis (GFC), for example, the severe decline in house prices caused many recent home-owners to run into negative equity. Figures from Statistics Netherlands show that following the GFC, in the Netherlands alone the total wealth in residential properties declined from e738,449 million in 2009 to e721,018 million by the end of 2012. In effect, home-ownership involves significant financial risk, which can adversely affect the balance sheets of households. These risks require a better understanding and proper measurements. However, it is also important to first understand house price dynamics, which significantly affect the process of equity generation. A thorough understanding of house price dynamics is necessary if we are to identify innovative ways of insuring against the risks associated with home-ownership. Purpose: Risk in home-ownership from mortgage providers’ perspectives within the euro zone has received more attention than individual home owner’s perspectives in the literature following the financial crisis in 2007/2008. The purpose of this paper is to explore the risk factors in home-ownership from the individual household’s perspectives within the owner-occupied housing sector of the Netherlands. Design/methodology/approach: The paper adopted a broader review of extant literature on the different concepts and views on risk in home-ownership. These concepts are unified into a framework that enhances our understanding of the perceived sophisticated risk within the owner-occupied sector in the Netherlands. Findings: From the perspective of the home owner, two main types of risks were identified: mortgage default and property price risk. The paper has unearthed a quantum number of factors which underline the above risks. The mortgage default risk factors include the initial amount of mortgage loan taken out, the future housing expenses and the income development of the owner-occupier. Family disintegration is also identified as one of the main causes of mortgage default in the Netherlands. Property price risk is influenced by income, interest rates and conditions in the social and private rental sectors. Research limitations/implications: Findings of the paper are based on review of the extant literature in the context of the Dutch housing market. Possible rigorous situational analysis using other tools are recommended for further research. Originality/value: This paper contributes to the much needed body of knowledge in the owner-occupied sector and provides a better understanding of risk in home ownership from the individual perspectives. Purpose: This paper examines the existence of the ripple effect from Amsterdam to the housing markets of other regions in the Netherlands. It identifies which regional housing markets are influenced by house price movements in Amsterdam. 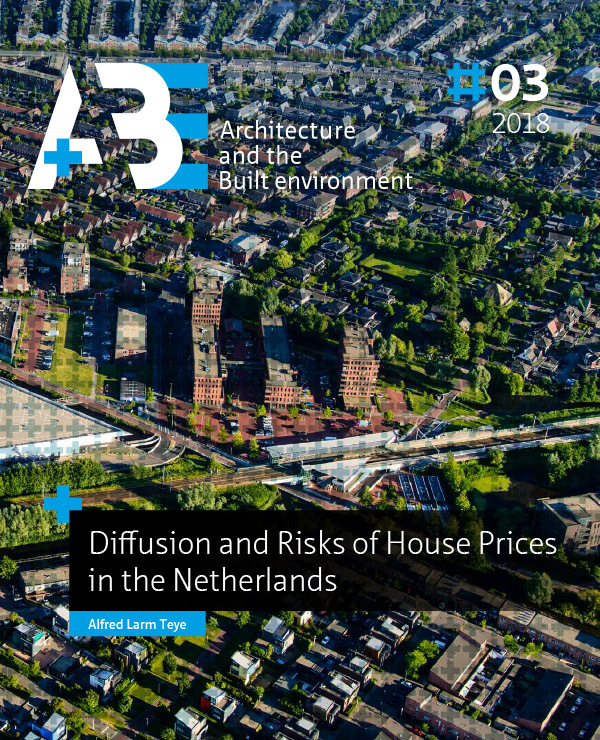 Design/methodology/approach: The paper considers the ripple effect as a lead-lag effect and a long-run convergence between the Amsterdam and regional house prices. Using the real house prices for second-hand owner-occupied dwellings from 1995q1 to 2016q2, the paper adopts the Toda-Yamamoto Granger Causality approach to study the lead-lag effects. It uses the ARDL-Bounds cointegration techniques to examine the long-run convergence between the regional and the Amsterdam house prices. The paper controls for house price fundamentals to eliminate possible confounding effects of common shocks. Findings: The cumulative evidence suggests that Amsterdam house prices have influence on (or ripple to) all the Dutch regions, except one. In particular, the Granger Causality test concludes that a lead-lag effect of house prices exists from Amsterdam to all the regions, apart from Zeeland. The cointegration test shows evidence of a long-convergence between Amsterdam house prices and six regions: Friesland, Groningen, Limburg, Overijssel, Utrecht and Zuid-Holland. Research limitations/implications: The paper adopts an econometric approach to examine the Amsterdam ripple effect. More sophisticated economic models that consider the asymmetric properties of house prices and the patterns of interregional socio-economic activities into the modelling approach are recommended for further investigation. Originality/value: This paper focuses on the Netherlands for which the ripple effect has not yet been researched to our knowledge. Given the substantial wealth effects associated with house price changes that may shape economic activity through consumption, evidence for ripples may be helpful to policy makers for uncovering trends that have implications for the entire economy. Moreover, our analysis controls for common house price fundamentals which most previous papers ignored.